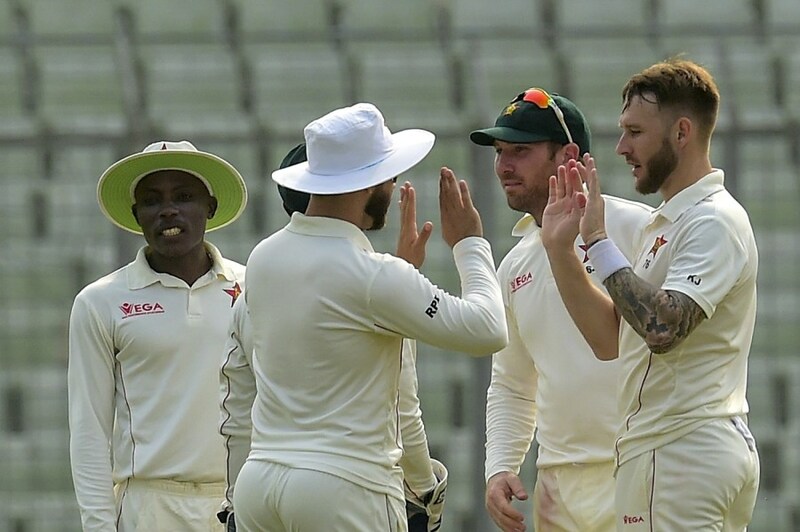 After a disastrous test series against West Indies, Bangladesh cricket team had a real test against Zimbabwe at their home ground. Here we will talk about the summary and our attainment from the ended test series. Bangladesh lost the first test in Sylhet because of their misjudgement about the pitch. That was the very first test in Sylhet and surprisingly Zimbabwe could read the pitch condition better than Bangladesh. The result was obvious, Bangladesh lost by a big margin of 151 runs. 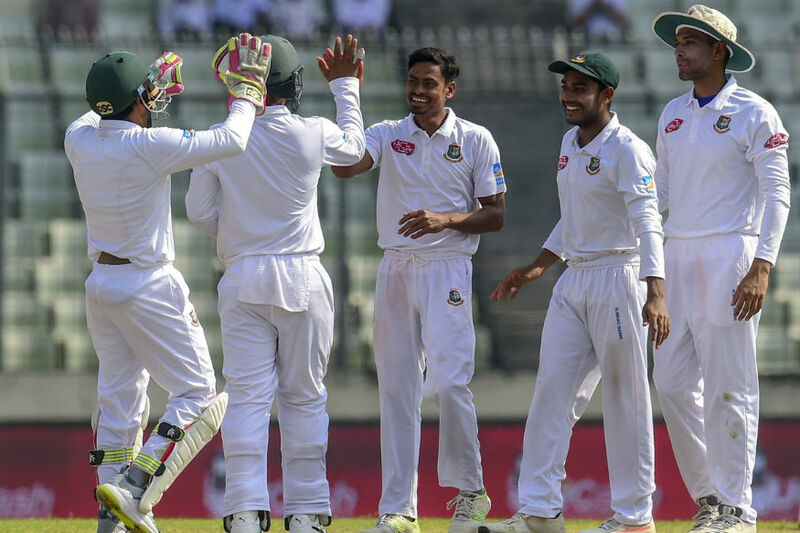 But the misjudgement of condition was not the only matter of concern, the poor batting performance of Bangladeshi cricketers was also remarked as a vital question before the Dhaka test. The three names for the first test favoured Bangladesh-Taijul Islam, Ariful Haque and Mehedi Hassan Meraj. Snatching 11 wickets(6+5), Taijul deserved the winning side undoubtedly. In reply to Zimbabwe’s 463 (282 and 181) runs in two innings, Bangladesh could not pass two hundred quotas (143 + 169 = 312) in one of two innings. Out of them, two short, 41 and 38 runs, but with an intense inning, Ariful Haq has been able to give the hope of a seven-point drought in Tests. As a pace-all-rounder, in the first Test, only 4 overs were bowled, but in the second Test, he was able to prove his decision to dismiss Peter Moore. And Miraz is very consistently showing that he can understand Shakib’s place. In the second innings of the first Test, three wickets and 21 in the 21’s, 7 = 28 runs, but his presence in the field was noticeable. In the slip, his fielding provided a good service to Bangladesh throughout the series. Mithun and Mahmudullah prove themselves as Crisis Man. Just turned around in times of danger. Mushfiq has taken his second Test half-century with a 211-run marathon inning, with 8, (3 and 5) wickets in the match. In this part of the wicket, 7 wickets in the match (5 and 2). The opening pair in the test has suffered But it needs to be kept in mind, Zimbabwe has been bowling exceptionally well. Especially their pacers. Liton’s two outings were very nice. But Imrul Kayes disappointed. After the unbelievable one-day series, the Test’s temperature was not seen in it. In the first Test of the pacers, Abu Zayed Rahi and the second Test in the second Test, Khaled Ahmed’s bowling sparked a lot of hope. Khaled Ahmed in particular – although his wicket for the debut test is zero. But this zero figure will not be written on Khaled’s triumphant catastrophe or catastrophic thriller. On the other hand, Zimbabwe played only with Mustafiz in the last Test game, so after the match, Shane Williams had to finish the series with the delivery of a dream that broke the stumps of the cut. Cutter Master had to finish the series. If the selectors and BCB especially focus on Khaled-Rahi-Mustafiz as new and young pace trio, then it will bring great benefits to Bangladesh in the future. The West Indies team has already come to Bangladesh. Bangladesh and the West Indies will play against the Test series starting on 22 November. Bangladesh will do better results in this series by learning from the mistakes of the Zimbabwe series, the best wishes for the Bangladesh Cricket Team. World Cup 2018: Mexico Did the Wonder! UEFA Nations League: England vs Croatia || Can England Beat Croatia?